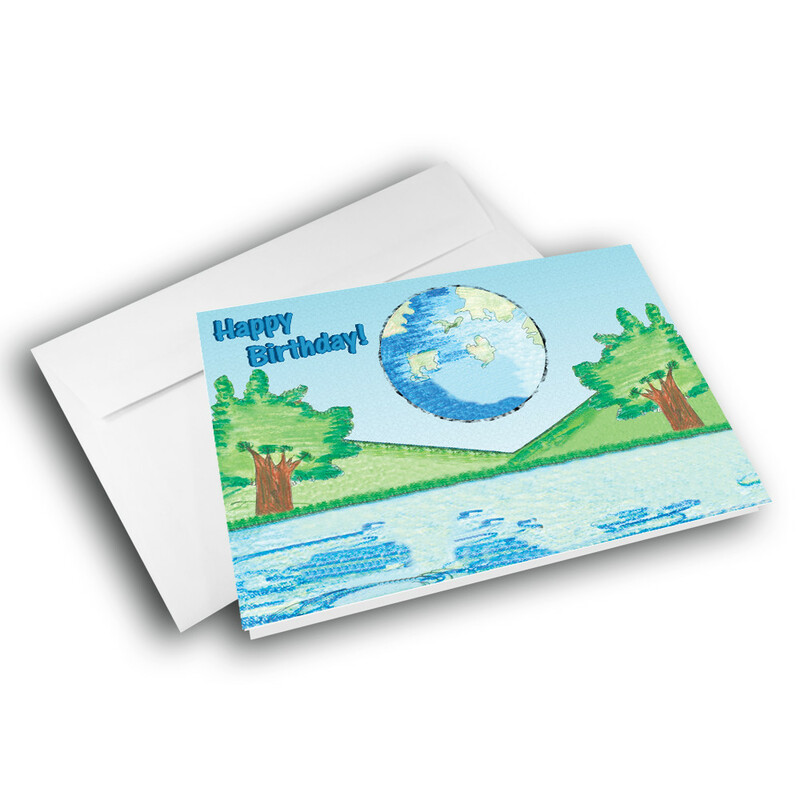 Send a birthday greeting with beauty and detail, to brighten up someone's special day. 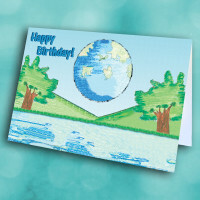 The intricacies of this beautiful birthday card will certainly make it stand out. Decorating the front, the earth floats in the sky above a detailed lake, backed by trees and hills. 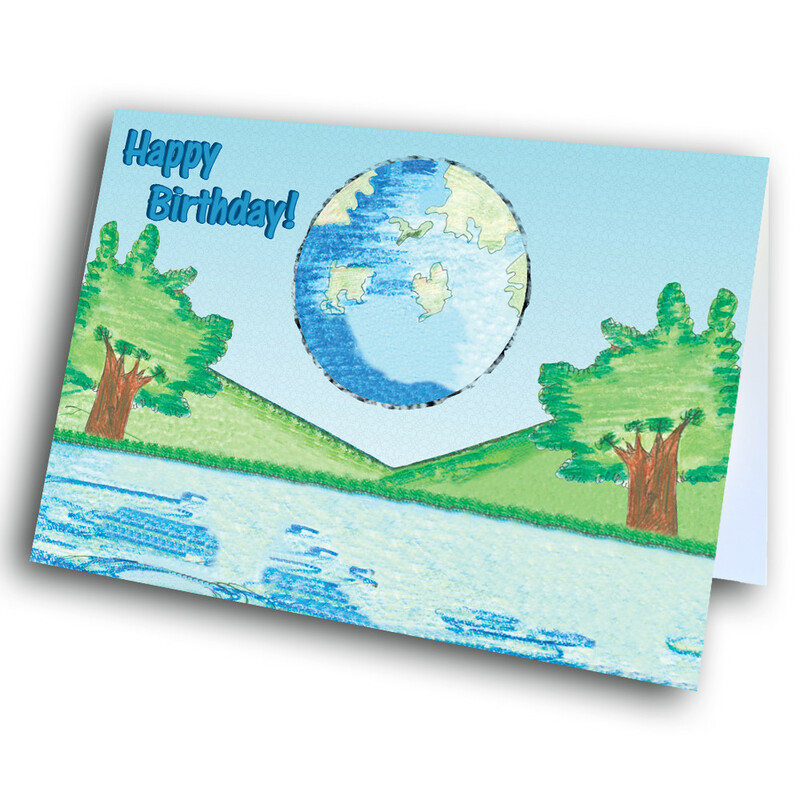 The birthday greeting jumps out with smooth lettering in the corner. 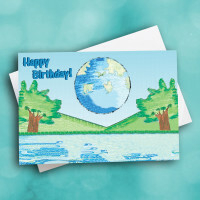 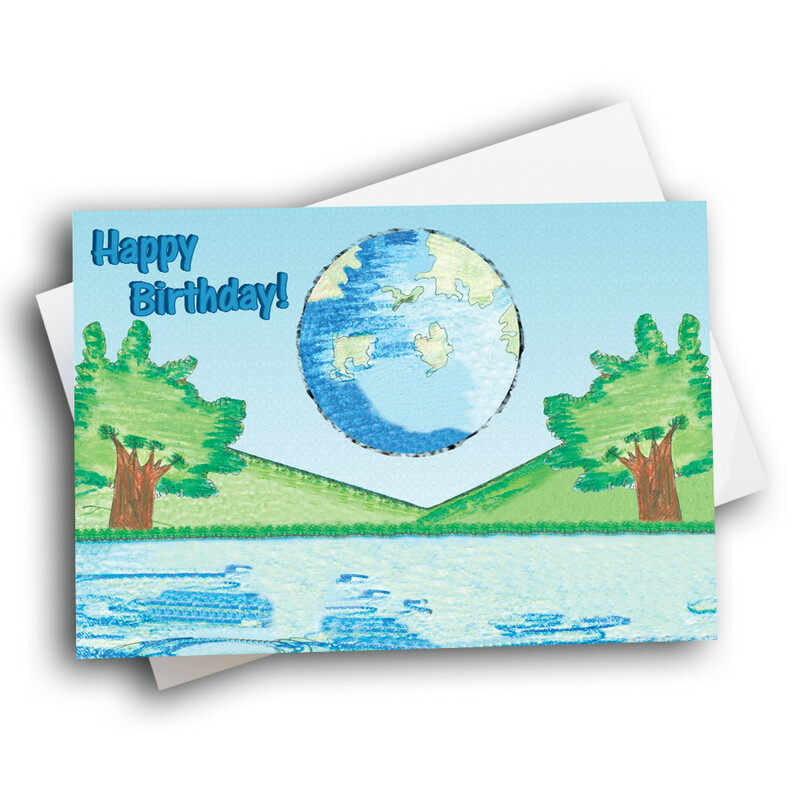 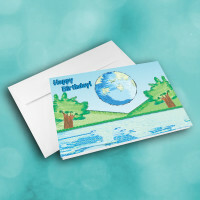 The design and artstyle of this birthday card give it a stylish finish, and the message inside can be customized to make this card more meaningful.